Native American culture is full of history, legends, and traditions. We pride ourselves on offering items that reflect the rich cultures of Native Americans. A classic Native American item is the dreamcatcher. Many people are familiar with the dreamcatcher from a decorative standpoint, but fewer people are aware of the colorful history and the legend that goes along with dreamcatchers. Traditional dreamcatchers are made with willow, which forms the hoop or circle. The hoop represents the universe, the circle of life, and unity and is one of the most powerful symbols in Native American culture. The weaving of the dreamcatcher utilized sinew. The patterns would vary depending on the artist. The bottom of the dreamcatcher typically has feathers, sometimes in conjunction with arrowheads or beads. Today dreamcatchers come in many sizes and styles. At Kachina House we offer traditional willow as well as more contemporary metal rings wrapped in leather. We have spirit stone dreamcatchers in a variety of colors and traditional dreamcatchers in earth tones. This authentic dreamcatcher comes with a dreamcatcher card as well as a Certificate of Authenticity. This is an affordable gift for a little one or someone in need of sweet dreams. The Ojibwe legend is captured within this beautiful piece. The outer circle of this medicine wheel represents the universe and the circle of life. The intersecting pieces in the center represent the four sacred directions. The circle and the intersection draw from the universe and bring into your circle of life good medicine and protection from misfortune and harm. This combination is different from the “standard” dreamcatcher, but it is an authentic form of the dreamcatcher which includes a medicine wheel and comes with a legend card and Certificate of Authenticity. If you know someone who absolutely loves dreamcatchers and the legend behind them, these sterling silver dreamcatcher earrings are a perfect gift. A coral stone is woven into the webbing and the dreamcatchers hang on French wires. You can carry the gift of positivity with you while wearing these, making them a great gift for someone who has faced tragedy or is in need of a spiritual boost. 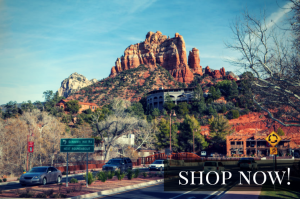 For more dreamcatcher gifts from Kachina House, visit our website or come in and shop with us! You can also shop our Etsy shop!